The seventh annual Utah Bike Summit will be held Friday, April 10, and will gather citizens, riders, bicycle advocates, government officials, tourism and health representatives, and Utah’s bike brands to discuss, plan, and promote efforts to make Utah the most bike-friendly state in the country. 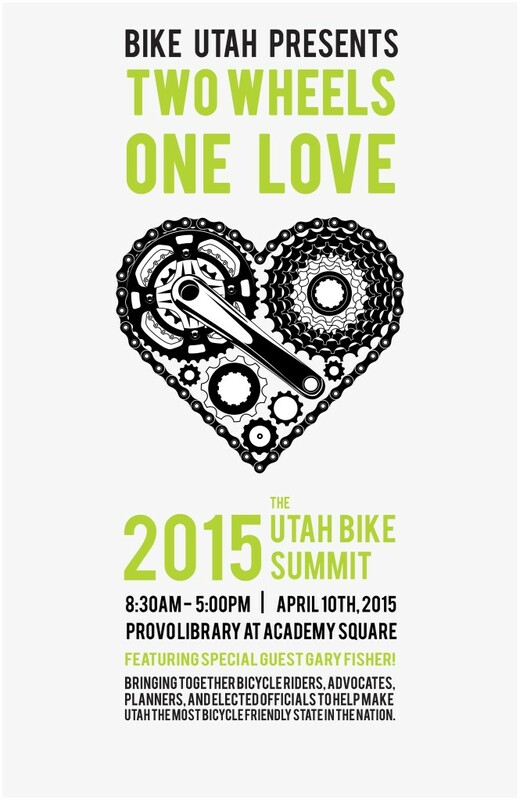 The Summit will take place at the Provo Library at Academy Square (go, Provo!) and is open to the public, regardless of where, how, and why you ride. This year’s keynote speaker is Gary Fisher, Founding Father of the Mountain Bike. Gary is a dedicated bicycle advocate and responsible for laying the early foundations for mountain biking. He is credited with developing some of the greatest innovations, including drum brakes, triple chainrings, motorcycle-style brake levers and 29 inch wheels. Gary is a longtime bicycle advocate and works to inspire people to get out and ride. In addition to the keynote address, the Summit program will include presentations addressing topics relevant to people who ride bicycles for both transportation and recreation. The afternoon agenda is packed with breakout sessions looking at topics varying from making bicycling an equitable transportation choice to e-bikes, promoting bicycle safety, and creating a bicycle friendly ecosystem. A post-summit reception closes out the day’s activities at The Underground Social Hall. More information about the Utah Bike Summit and how to register can be found at www.bikeutah.org/2015summit. This entry was posted in Utah Bike Summit by Jamie. Bookmark the permalink.